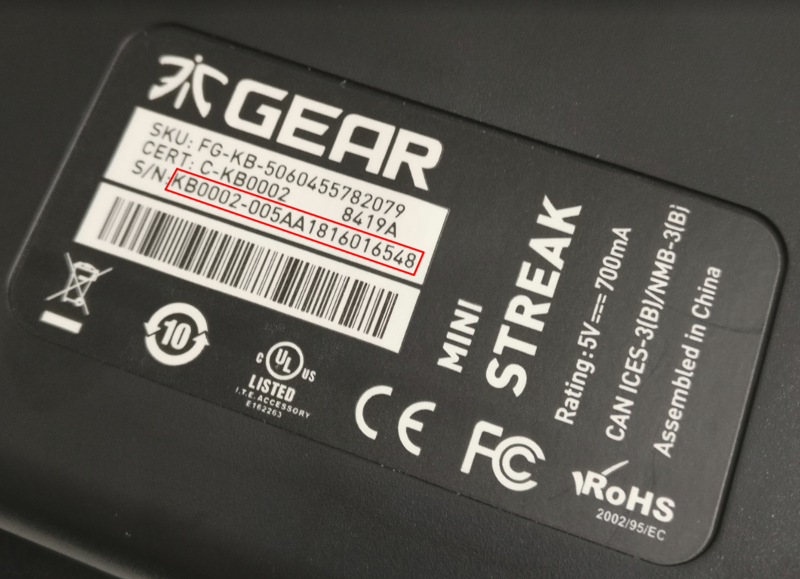 Where do I find my Fnatic Gear serial number? The label is located on the back of the keyboard. The serial label is located at the end of the cable, close to the USB A connector. 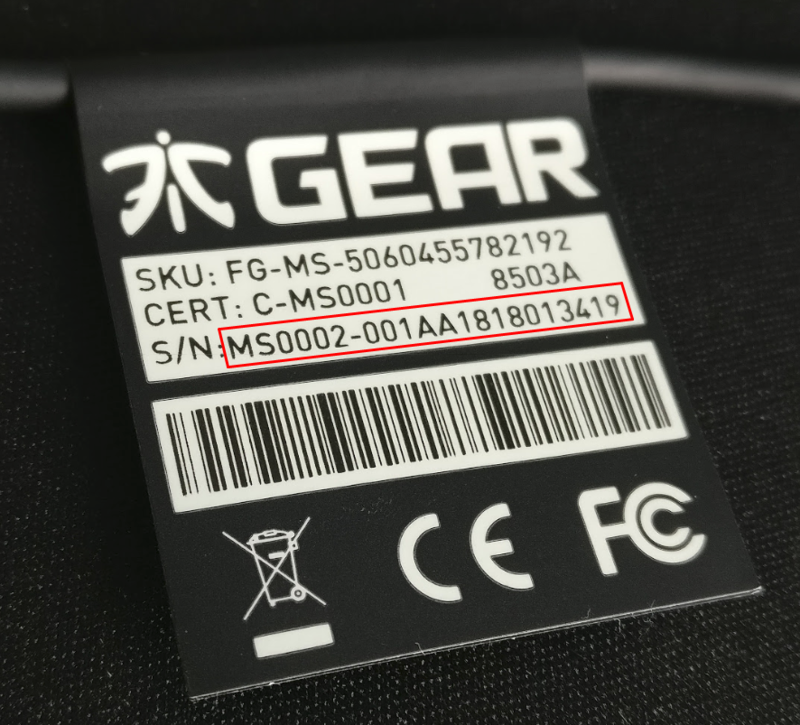 Serial numbers do not exist for mouse pads, merchandise or apparel.